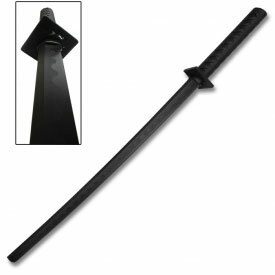 The Obsidian Blade Ninja Sword is the perfect full-tang sword for the ninja who strikes at night. 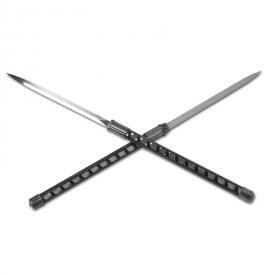 Not only is this knife all black, with a black handle, black iron cross tsuba, and black blade, but the blade itself is designed in such a way so as to prevent reflection. 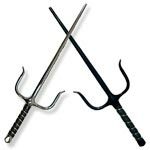 How often have you been out at night, poisted to strike from the shadows, when your sword's shiny metallic blade catches the light and gives away your position? 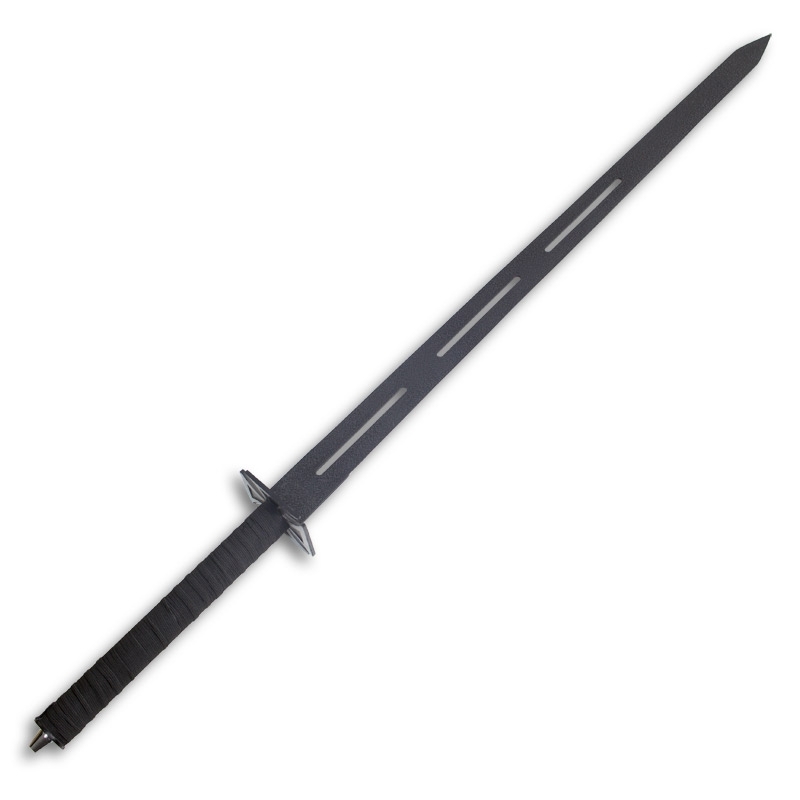 With the obsidian blade sword, you don't have to worry about that! 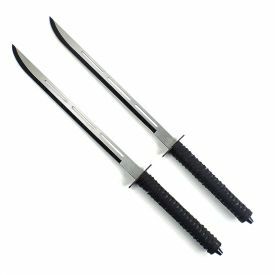 In addition to the full-tang 28.5" blade, this sword has an 11" fabric wrapped handle. 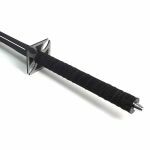 The black ninja sword weighs just under 30 ounces and even comes with a handy nylon sheath for easy carrying. 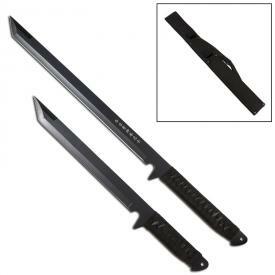 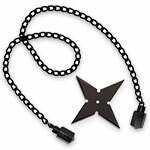 Get your own black assassin ninja knife today and show off with your deadly shadow moves.